“Basically, every plan we had didn’t work out,” says Ash Wilson. The recording of some albums may go like clockwork. Bish bash bosh, in and out of the studio on schedule. Done. 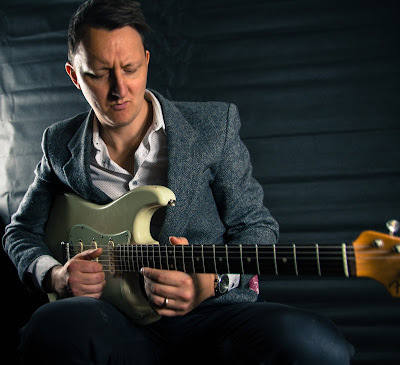 Others are a matter of evolution, and so it was with Ash Wilson and the making of his debut album, Broken Machine, as I discovered in the course of a wide-ranging chat with the Skegness guitar man. At the age of 32, Wilson had played in tyro blues band The Melt in his late teens, been a full-time teacher, worked part-time in a piano academy, and most significantly, was now a year into playing guitar with gritty soul-rocker Sean Webster. But in 2015 he found himself at a crossroads. “I was spending time away from home,” he explains, “and I have a young daughter, and I thought if I’m going to be away from home I should be doing what I really want to do, rather than something that I’m into and I love doing. The social side of Sean’s band was really great, and Sean’s a great guy, and I enjoyed playing his songs, but I think I’d got a bit of an itch that I needed to scratch. Ash Wilson - "How does that 'Thrill Is Gone' thing go again?" By that stage though, the album that was emerging was rather different from his original conception. The ‘we’ in this comment includes Wilson’s younger brother Phil, currently drummer to Laurence Jones and Wilson’s collaborator-in-chief. And given some of the brothers' collective music experience it may have been a bit short-sighted to believe a straight-ahead blues album was in the offing. For a start there was their parental influence. These weren’t the directions Wilson took with the guitar though, after getting started with it in his early teens. Little wonder then, that the first attempt the Wilson brothers made at recording together had been in a genre slightly at arm’s length to the blues, with a 2014 project they dubbed Infamous Vampires that resulted in an album released on iTunes. This time around though, they weren’t planning on home recording. They’d booked studio time, and finding Wilson’s long-standing bass playing buddy Greg Smith (also now with Laurence Jones) unavailable, they had to look elsewhere. Roger Inniss - something wicked this way comes! Not that the studio sessions with Inniss got the job done, of course – remember that plan that never worked out? 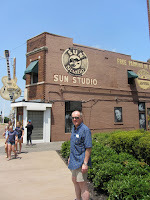 ‘Bob’ being than Bob Fridzema from King King – another example of the blues network in action, as Wilson reveals. Bob Fridzema - all in a day's work. 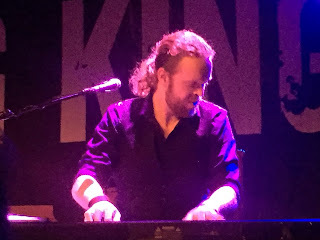 Broken Machine ultimately does feature some soulful blues, but the opening tracks suggest a more distinctive vein, and if this derived from a number of different factors, one of them was Wilson’s singing – or as he sees it, his limitations in that department. “We picked keys that I can get my voice to sound good in. I’m not a naturally gifted singer, as I’m sure you’ve heard from the album. I’ve done a bit of vocal coaching and to strengthen it, and something I learned from the Infamous Vampires thing is that in order for my voice to sound cool I have to write melodies a certain way. And melodically make it quite rhythmic. Not that this approach got him entirely off the hook in terms of vocal challenges, as he explains in relation to the closing track on the album, the emotional ‘Holding Hands’. I mention that he makes good use of falsetto in the process, and he agrees. I offer the observation that Wilson’s guitar playing also shines on ‘Holding Hands’ – it sounds like he really gets into the zone, and builds off the melody in a way that connects with the words. It’s a homely picture, but some other songs on the album suggest rather different images – as revealed in Part 2 of this interview, ‘Blade Runner Meets The Blues’. But while you're waiting, here's the delightfully wacky video for 'Peace And Love' for your edification and delight! Broken Machine is released on 21 April, and can be pre-ordered from Amazon. Check out Ash Wilson's forthcoming tour dates.